I also work on combining various molecular biology and genetics resources, such as gene expression data, DNA copy number data, transcription factor binding data , gene ontologies and literature abstracts for elucidating the structure of gene networks. In this context, I have devised an improvement of constraint-based probabilistic network structure inference algorithms regarding the determination of the direction of causal influences [26,27,28]. I also studied sparse factorizations such as Nonnegative Matrix Factorization (NMF) as clustering methods for gene expression data allowing for overlapping clusters [31,32,34]. The stability of clustering with nonnegative factorizations was addressed using an original meta-clustering approach based on Positive Tensor Factorization (PTF) [32,37,42]. A nontrivial generalization of hierarchical clustering dendrograms to biclustering was developed in  and applied to the genomic subclassification of colon cancer. A combined use of microarray gene expression data, functional annotations in terms of the Gene Ontology as well as an inductive learner (based on Inductive Logic Programming) have allowed us to automatically obtain functional descriptions discriminating genes differentially expressed in two types of lung adenocarcinoma . We are currently developing an ontology-based system for indexing, querying and text mining the biomedical literature (Biomine). In the European Framework Programme 6 Network of Excellence REWERSE (Reasoning on the Web with Rules and Semantics) we have developed a rule-based Semantic Web reasoning system, which we have used for integrating Web-based information sources using domain-specific ontologies , as well as for bioinformatics applications employing Semantic Web technology . The system uses the Flora2 implementation of F-logic. I have also been involved in the European Project SILK (System Integration via Logic and Knowledge) dealing with intelligent integration of legacy components. The SILK architecture contains a meta-model of the components to be integrated which is used by a specilized mediator for planning and splitting user queries into queries that can be dealt with by the components [20,23]. In order to be able to integrate complex applications with side-effects, we have developed an original partial order planning algorithm dealing with dependent fluents . Description Logics, Inductive Logic Programming, et al. In the past, I have been involved in several Artificial Intelligence projects in the fields of knowledge representation, computational logic, constraint logic programming, machine learning (especially inductive logic programming), genetic algorithms, AI planning, intelligent information integration and bioinformatics. In the field of description logics (DLs), I have developed efficient inference algorithms for expressive description logics (such as those with the transitive closure of relations) . Taking into account the correspondence with various extensions of the propositional dynamic logic (PDL), the obtained results are also applicable to modal, temporal and dynamic logics, as well as to modeling intelligent agents. TheRegAL  and ExClaim  systems are implementations of our approach. I have also introduced the notion of concept reification in description logics . 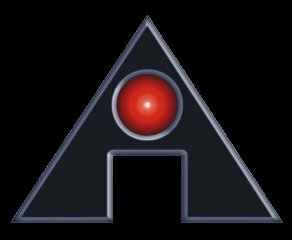 In the area of machine learning, more precisely Inductive Logic Programming, I have developed a (so-called) perfect refinement operator that eliminates annoying problems occurring in all theories and implemented ILP systems . In , I have shown that the advantages of completeness, non-redundancy and flexibility can be combined by constructing a perfect refinement operator that is "flexible". This should enable a more flexible traversal of the hypotheses space of an ILP system. Refining complete clausal theories has been investigated in . In a different line of work I have constructed refinement operators for description logics (DLs) which are useful for developing learning systems in DL languages. presents the first refinement operator for a DL and discusses the DL specific problems, such as example coverage, which are more complicated for DLs due to the Open World Assumption. Additionally, I have considered the application of ILP in the domain of learning trading rules . This application is interesting since it involves learning strategies in a domain in which there are no (or - in any case - very few) regularities in the historical data. It also leads in a natural way to dealing with the problem of learning from disjunctive examples (similar to multiple-instance learning). I have also worked in the European joint project PEKADS, which has been focused on operationalizing the KADS knowledge based systems development methodology using description logics. In this framework, I have developed and implemented a logic-based language called ExClaim (having a meta-level architecture and supporting non-determinism) for describing and executing KADS models . In the European project RENEGADE, I have worked on genetic algorithms based tools for tour planning and multiple vehicle routing. I am extremely interested in applications of AI in molecular biology and genomics, especially in the area of using symbolic machine learning (inductive logic programming), constraint programming and knowledge representation techniques for representing and reasoning about biological function . Liviu Badea. Multirelational Consensus Clustering with Nonnegative Decompositions. 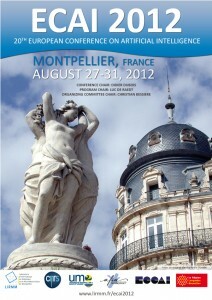 Proceedings of the 20th European Conference on Artificial Intelligence ECAI 2012, Montpellier, France, August 27-31, 2012, pp. 97-102. Frontiers in Artificial Intelligence and Applications 242 IOS Press 2012, ISBN 978-1-61499-097-0. Liviu Badea. Unsupervised analysis of leukemia and normal hematopoiesis by joint clustering of gene expression data. Proceedings of the 2012 IEEE 12th International Conference on Bioinformatics & Bioengineering (BIBE), Larnaca, Cyprus, 11-13 November 2012. pp. 338-343. IEEE. ISBN: 978-1-4673-4358-9. Liviu Badea. Generalized Clustergrams for Overlapping Biclusters. 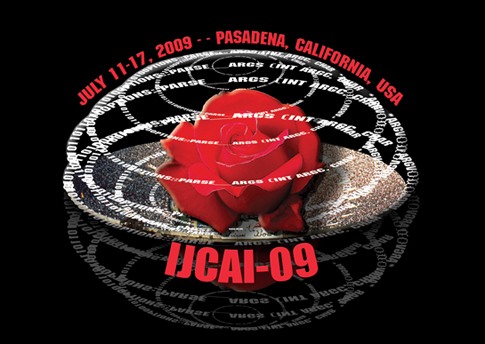 Proceedings of the International Joint Conference on Artificial Intelligence IJCAI-09, Pasadena, pp. 1383-1388, 2009. Liviu Badea, Doina Tilivea. Nonnegative Decompositions with Resampling for Improving Gene Expression Data Biclustering Stability. Proceedings of the European Conference on Artificial Intelligence ECAI 2008, Volume 178, pp. 152-156, 2008. Liviu Badea. Tracking the Dimensional Evolution of Gene Expression Biclusters. Proceedings of the 2008 International Conference on Bioinformatics & Computational Biology BIOCOMP-2008, pp. 116-121, CSREA Press 2008, ISBN 1-60132-055-8. PSB-08  Liviu Badea. Extracting Gene Expression Profiles Common to Colon and Pancreatic Adenocarcinoma Using Simultaneous Nonnegative Matrix Factorization. Proc. Pacific Symposium on Biocomputing PSB-2008, pp. 267-278, World Scientific 2008. Liviu Badea. Toward a molecular-level understanding of biological processes by unsupervised analysis of gene expression data. Proceedings of the Romanian Academy, Vol. 8, nr. 3 September-December 2007. Liviu Badea. Combining Gene Expression and Transcription Factor Regulation Data using Simultaneous Nonnegative Matrix Factorization. Proc. 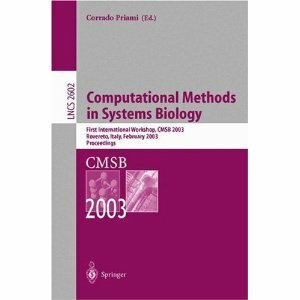 BIOCOMP-2007, CSREA Press, pp. 127-131. Liviu Badea, Doina Tilivea. Stable Biclustering of Gene Expression Data with Nonnegative Matrix Factorizations. Proceedings of the International Joint Conference on Artificial Intelligence IJCAI-07, Hyderabad, India, pp. 2651-2656. SIC  Liviu Badea. Combining DNA Copy Number and Gene Expression Data to Reveal Sample-Specific Genetic Abnormalities in Pancreatic Cancer. Studies in Informatics and Control, Vol. 15 No. 4, (2006), pp.403-413, ISSN 1220-1766. Liviu Badea. Semantic Web Reasoning for Analyzing Gene Expression Profiles. Proceedings Principles and Practice of Semantic Web Reasoning, PPSWR 2006, LNCS 4187, pp. 78-89, Springer Verlag. Liviu Badea, Doina Tilivea. Meta-clustering Gene Expression Data with Positive Tensor Factorizations. Proceedings European Conference on Artificial Intelligence ECAI-06, p. 787, IOS Press 2006. Liviu Badea. Clustering and Metaclustering with Nonnegative Matrix Decompositions. Proc. of the European Conference on Machine Learning ECML-05. Lecture Notes in Artificial Intelligence, Vol. 3720, pp. 10-20, Springer Verlag, 2005. (C) Springer Verlag. PSB-2005  Liviu Badea, Doina Tilivea. Sparse Factorizations of Gene Expression Data guided by Binding Data. Proceedings of the Pacific Symposium on Biocomputing PSB-2005, World Scientific 2005, pp. 447-458. PPSWR-2004  Liviu Badea, Doina Tilivea, Anca Hotaran. Semantic Web Reasoning for Ontology-Based Integration of Resources. Principles and Practice of Semantic Web Reasoning, PPSWR 2004: 61-75, Lecture Notes in Computer Science 3208 Springer 2004.
tics-04  Rolf Backofen, Mike Badea, Pedro Barahona, Liviu Badea, François Bry, Gihan Dawelbait, Andreas Doms, François Fages, Carole Goble, Andreas Henschel, Anca Hotaran, Bingding Huang, Ludwig Krippahl, Patrick Lambrix, Werner Nutt, Michael Schroeder, Sylvain Soliman, Sebastian Will. Towards a semantic web for bioinformatics. (Poster) In: Proceedings of "Bioinformatics 2004", Linköping, Sweden (3rd - 6th June 2004), SocBIN - Society for Bioinformatics in the Nordic countries. Liviu Badea. Determining the Direction of Causal Influence in Large Probabilistic Networks: A Constraint-Based Approach. Proceedings of the European Conference on Artificial Intelligence ECAI 2004, IOS Press, pp. 263-267. ISMB-2004  Liviu Badea. Extracting networks of influences from microarray data. ISMB-2004 poster. Liviu Badea. Inferring large gene networks from microarray data: a constraint-based approach. International Joint Conference on Artificial Intelligence IJCAI-03, Proceedings of the Workshop on Learning Graphical Models for Computational Genomics, 2003. CMSB-2003  Liviu Badea, Doina Tilivea. Integrating biological process modelling with gene expression data and ontologies for functional genomics (position paper). Computational Methods in Systems Biology, Proceedings. LNCS 2602, pp.187-193. (C) Springer Verlag. PSB-2003  Liviu Badea. Functional discrimination of gene expression patterns in terms of the Gene Ontology. Proc. of the Pacific Symposium on Biocomputing PSB-2003, World Scientific 2003, pp.565-576. FQAS-2002  Liviu Badea, Doina Tilivea. Intelligent Information Integration as a Constraint Handling Problem. Proc. 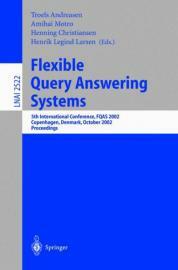 of the Fifth International Conference on Flexible Query Answering Systems (FQAS-2002), October 27 - 29, 2002, Copenhagen, Lecture Notes In Computer Science, Vol. 2522, pp. 12-27, Springer Verlag, 2002. Liviu Badea, Doina Tilivea. Abductive Partial Order Planning with Dependent Fluents. In Franz Baader, Gerhard Brewka, Thomas Eiter (Eds. ): KI-2001: Advances in Artificial Intelligence, Joint German/Austrian Conference on AI, Vienna, September 19-21, 2001. Lecture Notes in Computer Science 2174 Springer 2001, pp. 63-77. ILP-2001  Liviu Badea. A Refinement Operator for Theories. Inductive Logic Programming. 11th International Conference, ILP-2001, Strasbourg, France, September 9-11, 2001, Lecture Notes in Computer Science, Volume 2157, pp.1-14, Springer Verlag, 2001. Liviu Badea. Query Planning for Intelligent Information Integration using Constraint Handling Rules. IJCAI-2001 Workshop on Modeling and Solving Problems with Constraints (Seattle, August 2001). Badea Liviu. Learning Trading Rules with Inductive Logic Programming. In Ramon López de Mántaras, Enric Plaza (Eds. ): ECML-2000 (11th European Conference on Machine Learning, Barcelona), Lecture Notes in Computer Science, Vol. 1810, Springer, 2000, pp. 39-46. ILP-2000  Liviu Badea, Shan Hwei Nienhuys-Cheng. A Refinement Operator for Description Logics. In James Cussens, Alan M. Frisch (Eds. ): 10th International Conference on Inductive Logic Programming ILP-2000, London, Lecture Notes in Computer Science, Vol. 1866, Springer, 2000, pp. 40-59. DL-2000  Liviu Badea, Shan-Hwei Nienhuys-Cheng. Refining Concepts in Description Logics. In Franz Baader, Ulrike Sattler (Eds. ): Proceedings of the 2000 International Workshop on Description Logics (DL2000), RWTH Aachen, 2000, pp. 31-44. BNAIC-2000  Liviu Badea, Shan-Hwei Nienhuys-Cheng. Learning in Description Logics by Refining Concepts. Proceedings of the 12th Belgium-Netherlands Artificial Intelligence Conference BNAIC'2000. Liviu Badea. Perfect Refinement Operators can be Flexible. European Conference on Artificial Intelligence ECAI-2000, Berlin, pp.266-270. Liviu Badea. Knowledge Modelling and Reusability in ExClaim. Proceedings of the International Joint Conference on Artificial Intelligence IJCAI-99, Stockholm, 1999, pp. 606-613. Liviu Badea, Monica Stanciu. Refinement Operators can be (Weakly) Perfect. in Saso Dzeroski and Peter Flach (eds) - Proceedings of the 9th International Conference on Inductive Logic Programming (ILP-99), Bled, 1999, pp.21-32. (C) Springer Verlag. Liviu Badea. Planning in Description Logics: Deduction versus Satisfiability Testing. in Henri Prade (ed) - Proceedings of the European Conference on Artificial Intelligence ECAI-98, Brighton 1998, pp. 479-483, Wiley and Sons. ESSLI-98  Liviu Badea. Encoding Planning in Description Logics: Deduction versus Satisfiability Testing. Proceedings of the ESSLLI-98 Workshop on Reasoning about Actions: Foundations and Applications, Saarbruecken, August 17 - 21, 1998. DL-98  Liviu Badea. Planning in Description Logics: Deduction versus Satisfiability Testing. in Henri Prade (ed) - Proceedings of the 1998 International Workshop on Description Logics (DL'98), IRST, Povo-Trento, June 6-8, 1998. Liviu Badea. Reifying Concepts in Description Logics. Proceedings of the International Conference on Artificial Intelligence IJCAI'97, Morgan Kaufmann 1997, pp.142-149. Liviu Badea. A unified architecture for knowledge representation based on description logics. in Wolfgang Wahlster (ed) - Proceedings of the European Conference on Artificial Intelligence, Budapest 1996, pp. 282-286, Wiley and Sons, 1996. Liviu Badea. ExClaim: a hybrid language for knowledge representation and reasoning using description logics. Proceedings of the ECAI'96 Workshop on "Validation, Verification and Refinement of Knowledge-Based Systems", Budapest 1996. Liviu Badea. A practical decision method for logics of action and time, submitted. DL-95  Liviu Badea. Towards a unified architecture for knowledge representation and reasoning based on description logics. Proc. Int. Workshop on Description Logics DL'95, Universita La Sapienza, Rome, June 1995, pp. 32-37. SIC  Liviu Badea. A unified architecture for knowledge representation based on terminological logics. Studies in Informatics and Control, Vol. 4, No. 2, June 1995. PEKADS  Liviu Badea, Stefan Trausan-Matu. Specification of Term Subsumption Languages for KADS Operationalization. PEKADS Technical Report WP4/TR/4.2.1/1.0. RIA  Liviu Badea. Analiza si evaluarea principalelor shell-uri si medii de programare existente pentru elaborarea de sisteme experte. Revista Romana de Informatica si Automatica, Vol. 1, nr. 3-4, 1991, pp. 29-44. RENEGADE (Research Network on Genetic Algorithms Development) focused on developing applications of genetic algorithms, especially in the field of tour planning and vehicle routing. fluent in English, German (I have graduated the German Highschool in Bucharest as the first in my promotion) and French.